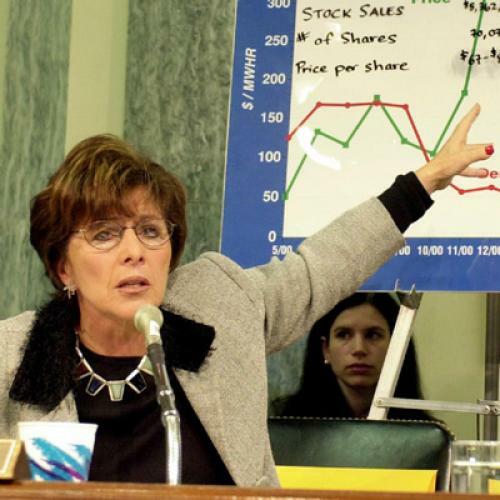 Boxer, for her part, pointed out that the EPA had already done extensive economic analysis of the House climate bill. Then, last month, the agency combed through the Kerry-Boxer draft Senate climate bill, noted that most of the provisions were virtually identical to the House legislation, and so declared that its analysis applied there, too. There were a few minor differences between the two bills, so EPA staffers looked those over carefully and pointed out what the effects would be. Meanwhile, it's not like the EPA's just stepping aside: Once all Senate committees have marked up the current draft and we have a final bill, the agency will do a full modeling run of that version before it comes up for a floor vote. Voinovich has a fair point when he says we need to understand the full effects of this rather large piece of legislation. But there's a huge body of information as is. True, the agency could take another five weeks to do another full modeling run of the current Senate draft, as Republicans prefer, but it's extremely unlikely that we'll discover anything new. And, of course, that initial draft is going to change significantly. What's more, one of the lurking problems here is that Voinovich simply believes the agency is being too optimistic about the effects of the bill—he appears to want the EPA to revisit its assumptions and redo its work again and again until he gets the answer he's looking for. In any case, it looks like the bill's moving forward. Yesterday, Boxer made a few modest concessions to James Inhofe and other Republicans on the committee, saying she would extend the deadline to offer amendments and would pause the markup process this afternoon and bring in EPA staff, who could answer any questions Voinovich or other Republicans might have. But, at this point, she's not yielding to their demand for a five-week delay—indeed, she suspects that James Inhofe and other Republicans on the EPW are just trying to do whatever they can to delay a bill they had no intention of voting for anyway. Incidentally, not everyone seems to agree with Boxer's style. One anonymous Democratic aide grumbled to the Politico today, "She's poisoned the waters." Indeed, it's possible Inhofe is forcing this fight because he knows Boxer has a reputation as a combative liberal, and that that could scare off moderates. So we'll see how this all plays out. But for now, Boxer appears to have the better argument.